Balab woke up before sunlight broke through the morning sky. Other believers in his village had to do the same. Balab dipped his bucket in the public well and trudged home. He needed water for his family but couldn’t be caught in the act of collecting it—he and the other Christians were banned from the public water source. Before Balab, his wife and five children met Jesus, they were often sick. Malaria, typhoid and jaundice frequently plagued their family, and there seemed to be no end to it. With little income and many doctor visits and treatments, Balab started selling off his land, cattle and even trees to pay for the expenses. As sicknesses continued, the bills did too, and Balab had to take out loans from his friends and family members. Poverty took hold of their lives in more ways than one. Balab and his family were poor in spirit and discouraged. Peace had left their home, and there seemed no hope of help for their family. But one day, GFA-supported pastor Salm met Balab, and the two men began to talk. Over the course of their conversation, Balab shared with Pastor Salm about his family and their deep discouragement. Balab learned about the hope Salm had in God’s Word and listened to the pastor as he prayed for him and his family. Pastor Salm visited Balab and his family once a week and saw with his own eyes the struggles they faced. Moved with compassion and hope in Jesus, Pastor Salm earnestly prayed for them. Slowly he witnessed how the Lord answered his consistent prayers. Balab and his family began to heal, and joy entered their lives. Instead of sorrow, peace came into their home, and they began to go to church. They had experienced Jesus and now nothing would take that hope away from them—not even opposition. When the villagers saw that Balab and his family had begun to follow Christ, they beat them and prohibited them from getting water from the village well or pond. Balab and his family had to wake up early in order to gather water without being harmed. If they didn’t secretly go to the forbidden well, they had to travel nearly a mile and a half to get water from the river. Pastor Salm saw this struggle, so he requested a Jesus Well to be drilled in this village. 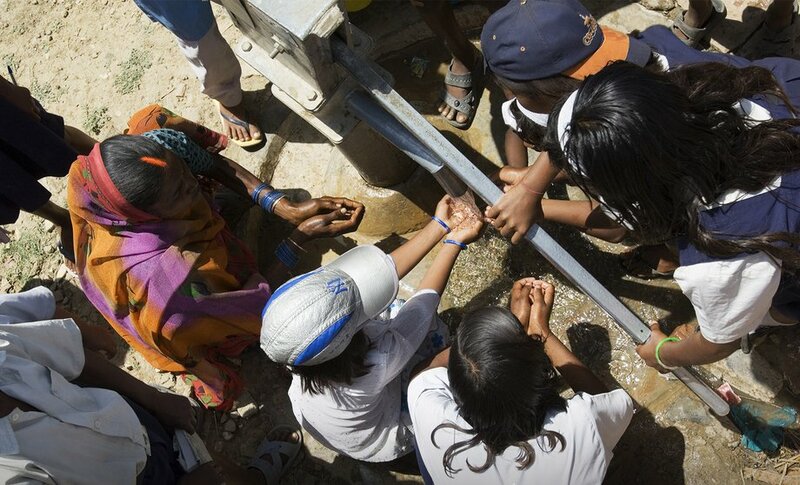 By God’s grace, a Jesus Well was installed, and the village had a new source of water for everyone to use. The villager’s hearts began to change toward the believers as they, too, pumped water from the new, good well. As the villagers experienced the tender compassion of Jesus, they began to take literature from Pastor Salm. They even started asking him for prayer from time to time, and one young man decided to embrace the love of Christ for himself. Visit GFA's Water Ministry for more information.